Winter is finally abating, and soon all of our pristine, rust-prone old cars will be back on the road again. 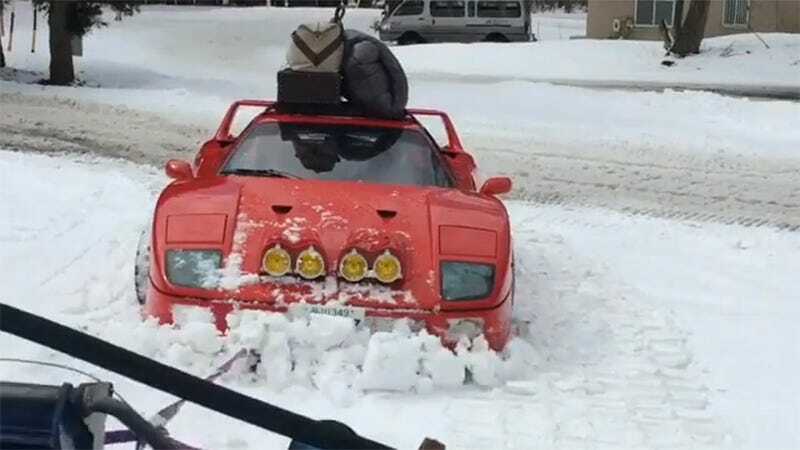 Except for all of us who do drive our cool old cars through the winter anyway, like this guy and his Ferrari F40. We’ve seen this proud F40 on its snow run before, back in 2016. It was one of the more difficult supercar vids to pull off, but I’d say it was worth it. The whole thing is a reminder to us all that cars are for driving, not sitting.